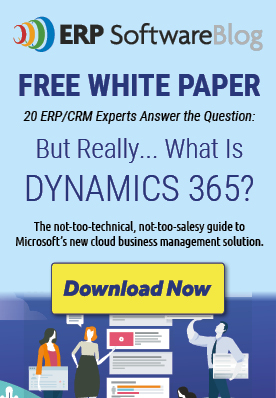 Lower costs of implementation and adoption with new automated setup guides that simplify initial setup of Dynamics NAV and help to seamlessly integrate with Dynamics 365 for Sales. In addition, we’ve introduced a new user tasks function that improves user productivity. Streamline business processes with new out-of-the-box Microsoft Excel report templates (for example, Trial Balance, Cash Flow statements and more). Empower employees with new embedded and contextually relevant Power BI reports, improving visualization and visibility within the most highly-used lists in Dynamics NAV. Also, new integrations with Microsoft Flow enable users to automate tasks directly in the context of their Dynamics NAV experience. Conducted by the TrinSoft Dynamics NAV team. Miss the Recent “What’s New in Microsoft Dynamics NAV 2018” Webinar? Download the Content Now.